Sometimes stopping for that tubed meat-like substance that has spent all day rolling round and round in a convenience store is a necessity when logging big miles, but on the Lake Superior Circle tour its super easy to satisfy your hunger at some of the most interesting, unique places you will have ever eaten. Each stop has been thoroughly tested and biker approved. The Hoito is a true cult classic for breakfast in Thunder Bay. 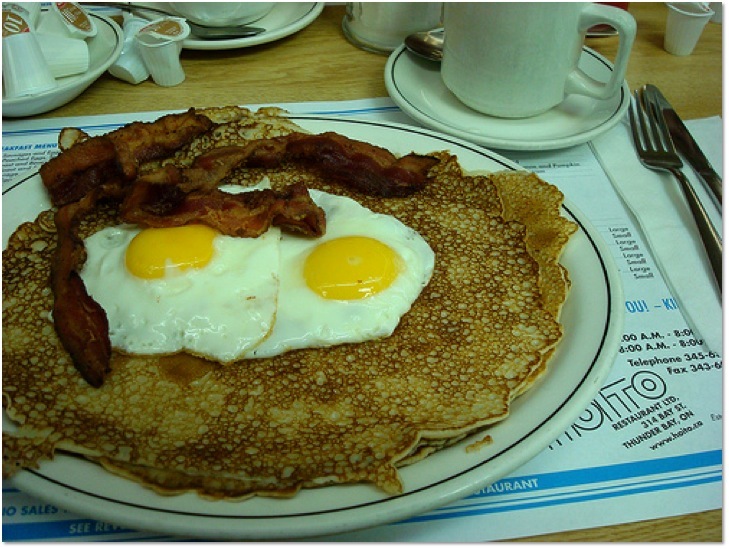 Operated by the Finnish community, Hoito Restaurant is keeping their traditions alive by serving some of the best pancakes this side of the Atlantic. Tip: Eat here as you are departing the city. The earlier the better as people line up for this breakfast goodness. If you run better with coffee like your bike runs better on high test, then this is the place for you. 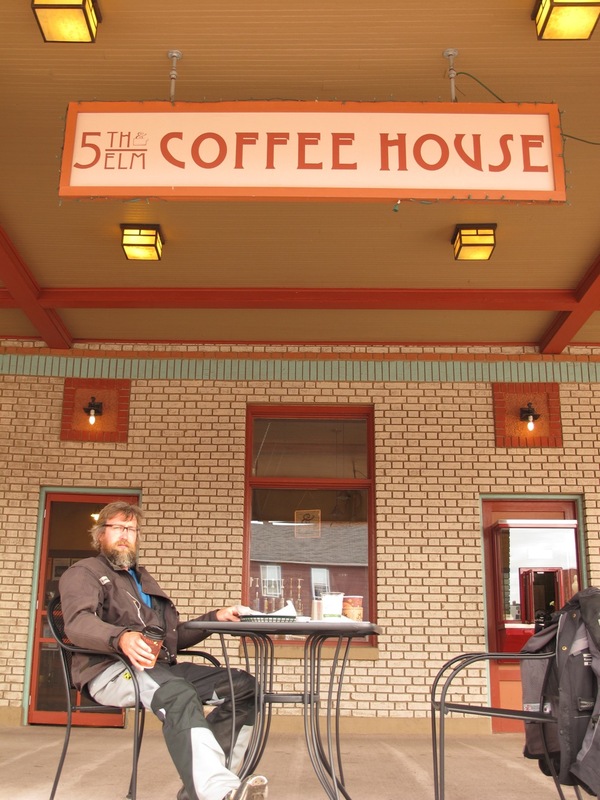 Their rustic cabin serves up a mean dark roast. 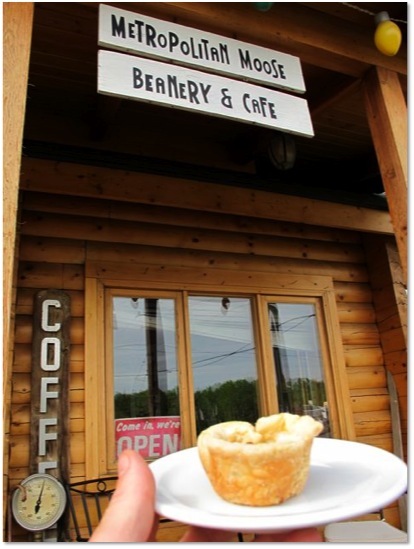 Plus, the Metropolitan Moose is famous for their butter tarts and freshly baked scones. A must stop after visiting the falls. While not technically a restaurant, this iconic old-fashioned general store can satisfy your hunger right inside their front door at the pickle barrel. Yep that’s right, a barrel full of pickles gently marinating in salt brine, just waiting for you. 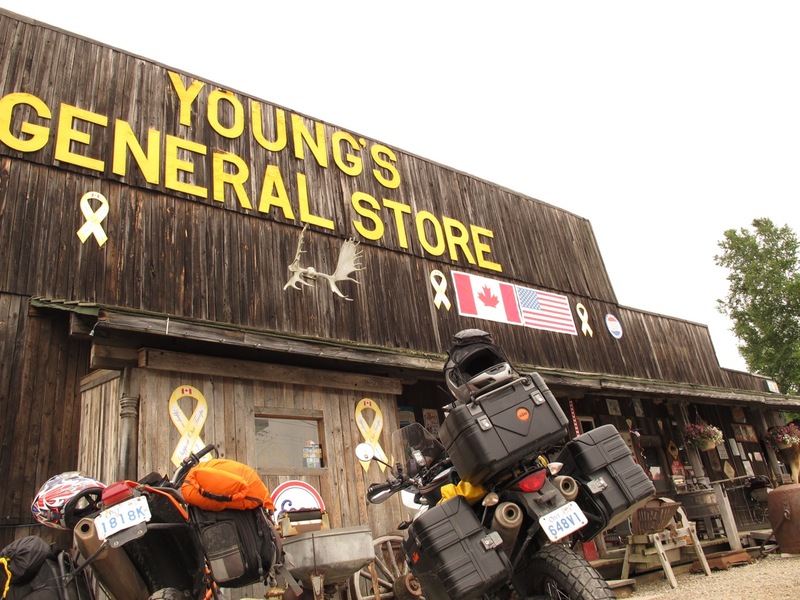 Nothing says ‘roadtrip’ like eating a pickle at Young’s General Store. Tip: They also have a great selection of fudge, ice cream and beef jerky…for after the pickle. We introduced you to the finnish pancake back in Thunder Bay, now its time for the suppertime Hungarian Potato Pancake at the Best Northern. Mark and Theresa (the owners) pride themselves on offering their guests real traditional cuisine. This pancake is pure awesomeness topped with beef stew and sour cream. Some people like a traditional simple schnitzel served with applesauce. Others like a complex schnitzel that is ‘loaded’. 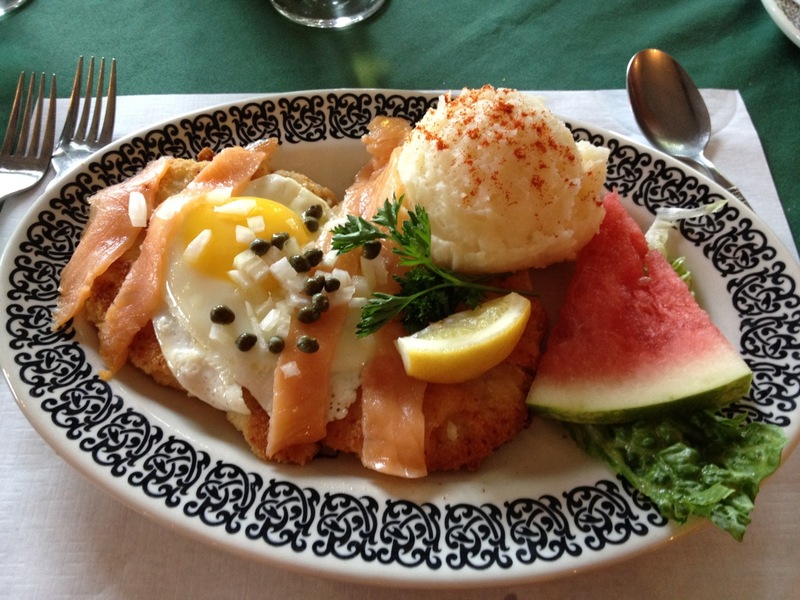 Salzburger Hof serves schnitzel up every which way and is arguably the best schnitzel house on the entire lake. Tip: After dinner take a stroll down to the lake and reflect on why life is so much better with schnitzel. Voyageurs were hardy boatmen who paddled 26’ canoes full of furs across this rugged landscape. The Voyageurs ate well to fuel their bodies each day. 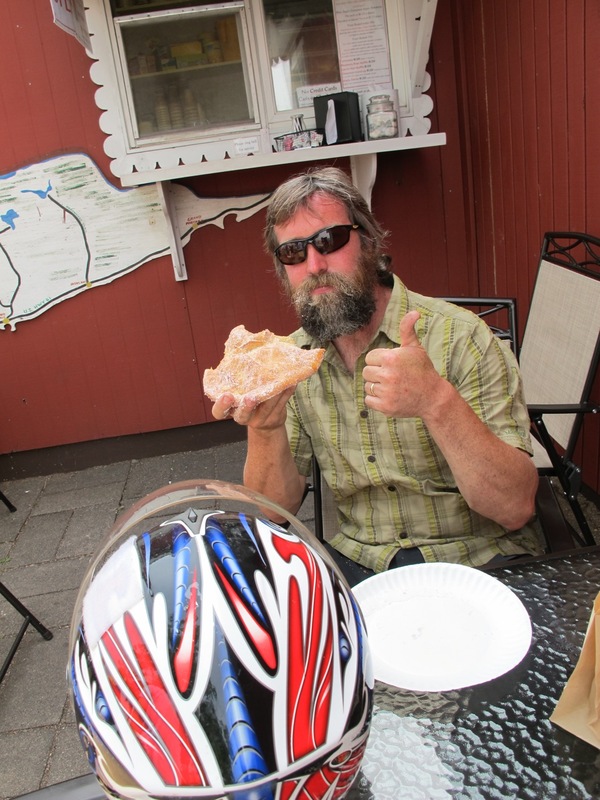 Founded on these same principles, the Cookhouse serves up real food for real hardy bikers. Try the traditional Bannock and Beans just like the voyageurs, or arrive on a Friday night for their legendary fish fry of locally caught trout and whitefish. Looking for some Big Bad Bossified Chicken Wings? Then this place is a must stop in the Soo. 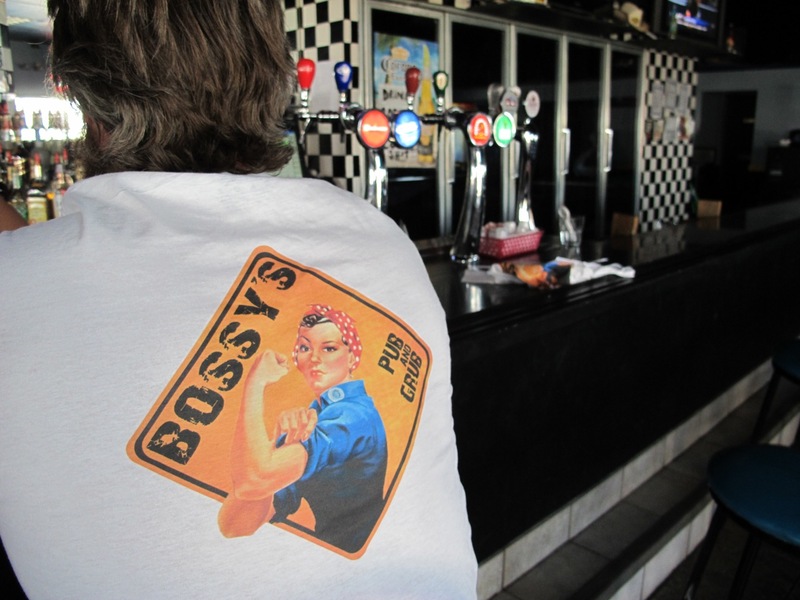 A former gas station, Bossy’s has been renovated into a really cool biker bar and local hangout. If you listen close, you can still hear the sound of impact wrenches. Tip: Order the Jamesy Special if you are really hungry or need to show your riding buddy’s ‘who’s the boss’. There is something about eating at old converted car repair garages. This funky coffee shop has been fully renovated and allows you to park right up front while you enjoy your morning brew. Likely the healthiest stop on the list, they offer a killer yogurt parfait. Don’t worry, your buddies won’t laugh. You’ll all be sipping coffee, eating yogurt and surfing on their free wifi. If you’re a burger hound then you have likely heard of the Anchor Bar. 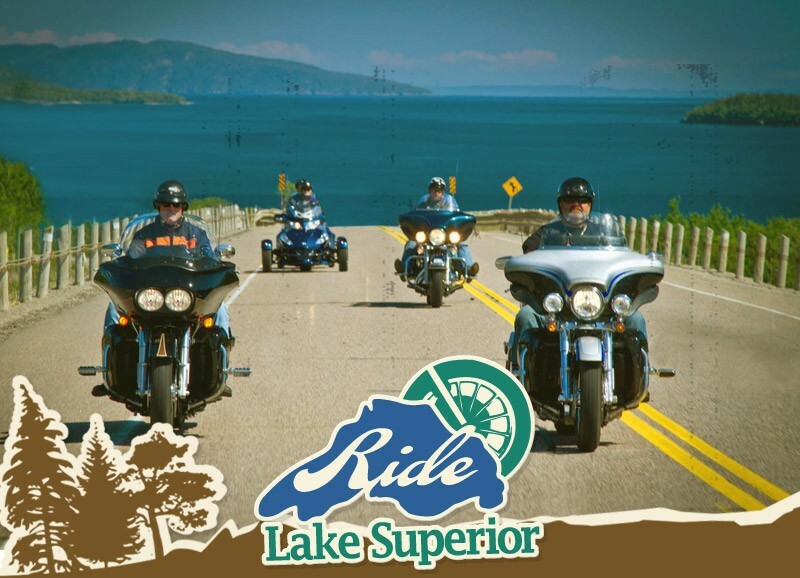 They have been featured on Diners, Drive-ins and Dives, won numerous awards and are a Lake Superior staple that cannot be missed. 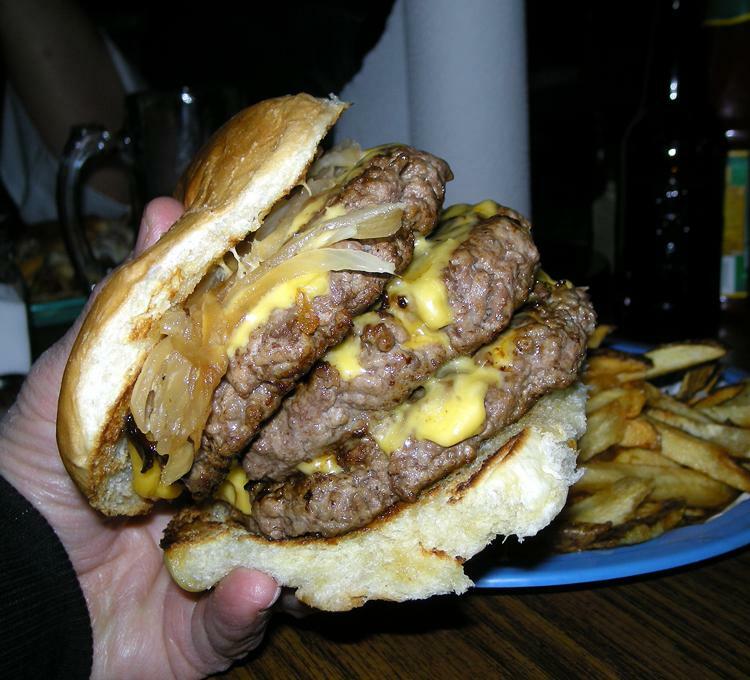 If you are feeling insecure and need to boost your confidence…go for the Gallybuster, a triple, 1lb cheeseburger. Tip: Arrive at the Anchor at non-peak times as line ups are frequent. Four generations of the Altrichter family have been making donuts here since 1969. They know donuts, period. Whatever you order we guarantee you won’t even make it off the property before opening the box and digging in. Order one of each, and then top it off with the Skizzle. A beaver tail sized, sugar coated delight. Tip: Enjoy people watching as they take that first bite. It will remind you of Meg Ryan’s restaurant scene in When Harry Met Sally. yum i am 10 for 10 on your list!